Perth is a sophisticated city oozing with class and refinement. 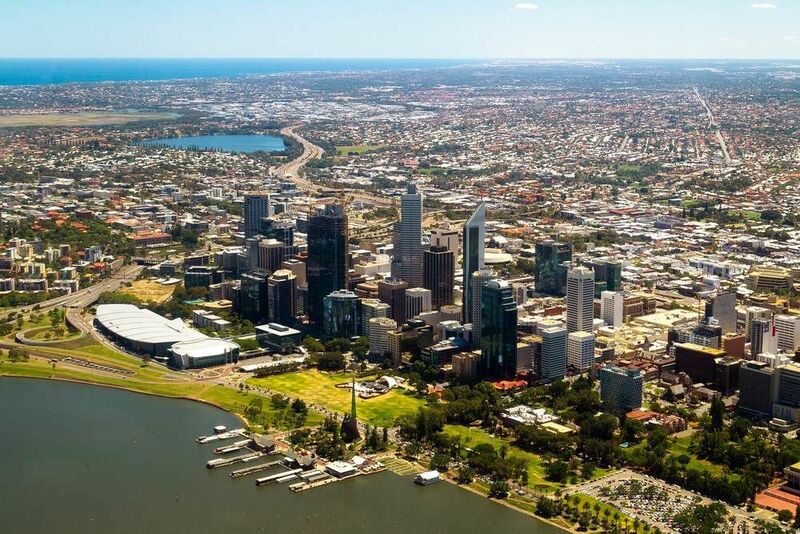 The capital of Western Australia is ideally located where the Swan River flows majestically into the ocean. The beaches are long and sandy, with a chilled out and laid back vibe. You can cycle, rollerblade, and saunter alongside incredible views that will leave you in awe. The state ballet and opera companies are based in the cultural centre and would couple perfectly following a gourmet meal in this foodie paradise. The Western Australia Museum is located here, along with copious art galleries and museums. If you are an outdoor lover, you won’t be disappointed by the encapsulating views offered from the Botanic Gardens on Mt Eliza. The cityscape is framed by sweeping beaches, modern architecture, and an ocean that gleams. While Perth radiates charm and sophistication, it doesn't take away from the down to earth lifestyle the Australians love to live. The nightlife is always on whether you want a quiet beer in a local pub, a night of dancing and cocktails, or a chance to dress up and watch a world class opera. A walking tour is an ideal way to see the city. Check some of the ones available for free to get a chance to see the city at no cost. Run by the Perth Information Kiosk, volunteers offer you some free speciality tours and an orientation tour. The orientation tour is a fantastic way to familiarise yourself with the city. This is an excellent way to start to your trip as you can get your bearings and view local landmarks before exploring on your own. Speciality tours last about 1.5 hours and there’s a variety to choose from: Icons of Influence, Art City, Convicts & Colonials, Town Hall, Boom or Bust. Each of them takes you on a different adventure of Perth, walks you to the top landmarks, and teaches you about their history and significance. All tours start from the iCity Information Kiosk. There’s no pre-booking necessary, just arrive 5 minutes before departure! Below you can find more popular (but not free) activities and tours in Perth. Are you from Perth and want to be a tour guide? Please get in touch by submitting your details on this page!